Which is the best Printer for Bulk colour printing? To be honest, for image-heavy and heavily graphical prints, laser printers are a nightmare. However, if we are talking about the best printer for bulk colour printing, especially for documents that don’t have as many photos, a laser printer would be the way to go. Despite the initial start-up costs of bulk laser printers being higher than that of their inkjet counterparts, laser printers end up being cheaper to run in the long run. This is primarily because their printing cost per page is usually a considerable fraction lower than the cost of printing with inkjet printers. 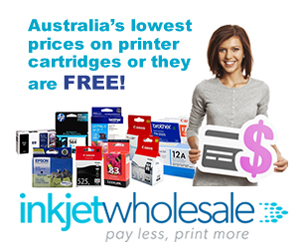 Previously, we have looked at a bunch of inkjet printers, best suited for the Australian market and a couple of mono laser printers too. However, our focus on this piece is on bulk colour printing. Now, as a general rule of thumb, inkjets are only known to be suitable for small-time coloured printing gigs. So when you want to do a big coloured printing job, you would certainly need a superfast multifunction colour laser printer to get the job done. Why choose Laser over Inkjet Printers for bulk Coloured printing? Faster Printing Although Laser printers require a couple of seconds to warm up, once they do warm up they can actually do a pretty thorough job in just a fraction of the time that you would use, if the same job was to be done with an inkjet device. Bulk inkjet printing is almost always riddled with problems. The device takes longer to do the job and after a couple of hours of continuous printing, the gadget could most likely start misbehaving. Sharper and Clearer Text Now apart from being super-fast, toner-based colour printers are precise on paper. 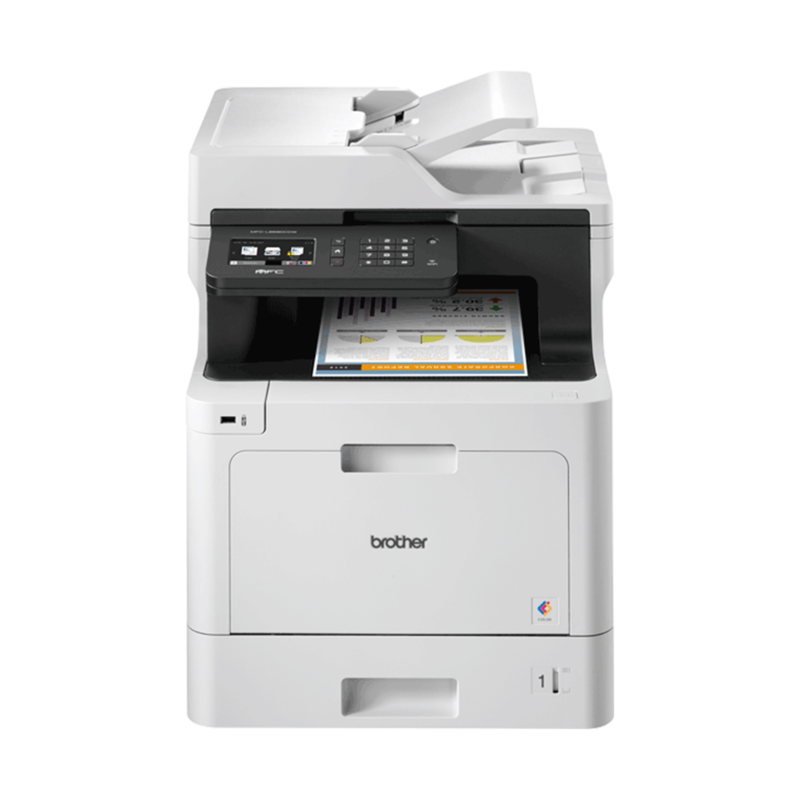 If text clarity is your goal, then a colour multifunction laser printer would be way reasonable not to mention economical to use. Especially if you are doing more than 100 sheets of coloured printing, a laser printer would perform way better. A higher monthly duty cycle Well before delving into this point, most people don’t know what manufacturers mean when they talk about the duty cycle of a printer. When it comes to printers, duty cycle refers to the maximum number of pages that a printer can print over a given duration of time (usually a month) without breaking down or without showing any major errors. Of course, manufacturers add this information on their products after doing plenty of stress tests to determine the average duty cycle of a printer. Usually, laser printers have a higher duty cycle than their inkjet equivalents and hence are much more ideal for big printing jobs than inkjets. Toner is cheaper in the long run than colour ink cartridges Whenever you are printing anything beyond 2000 sheets, whether coloured or mono, a laser printer is always the best choice especially if ink economy is your preference. The initial toner cartridge cost might be somewhat higher compared to that of inkjet cartridges, but even with the mid-sized toner cartridge, you could do up to about 3500 pages in print. Such a yield is quite hard to reach with an inkjet printer. In addition, inkjet printers waste a lot of ink during their cleaning cycles, something that is not present in laser devices. Perfect for Simple Graphics though not recommended for image heavy documents Last but not least, colour laser printers are ideal for bulk simple graphical printing although they are not exactly perfect for complex diagrams. Usually, if you just want to replicate simple company data in forms of graphs and charts, a laser printer can get the job done in no time. So, which is the best Laser Printer for Bulk colour printing? After understanding that laser is the way to go for voluminous printing gigs, then we must want to know some of the best laser colour printers in Australia. While this question lacks a straightforward answer, we the Inkjet Wholesale family have a number of suggestions based on our experiences with different printers. Top on our list would be the Brother MFC-L8690CDW. Other worthy choices include the Kyocera ECOSYS P5021cdn Laser Printer and the Brother HL-L8360CDW Colour Laser Printer. Some of the factors we considered when coming up with these recommendations include the initial cost of buying and setting up the printer, ink and power efficiency, durability, page yield, and many others. Who is the Brother MFC-L8690CDW made for? The Brother MFC-L8690CDW is a tough multifunction colour laser device built entirely to solve the needs for small businesses. Unlike most commercial colour laser printers in the Australian market, this device is optimized for speedy results and long, voluminous colour printing jobs. Apart from being good with coloured prints, it can also be used for mono printing with the same degree of efficiency and profitability. 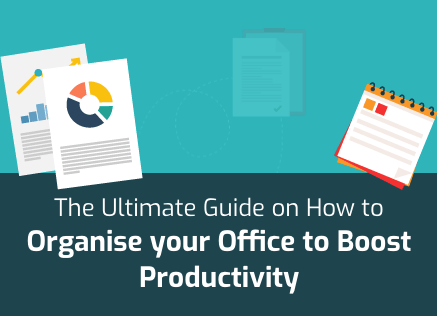 This gadget can also fit in perfectly for a busy office, owing to its fast printing speeds of up to 31ppm (pages per minute) for both mono and coloured printing. 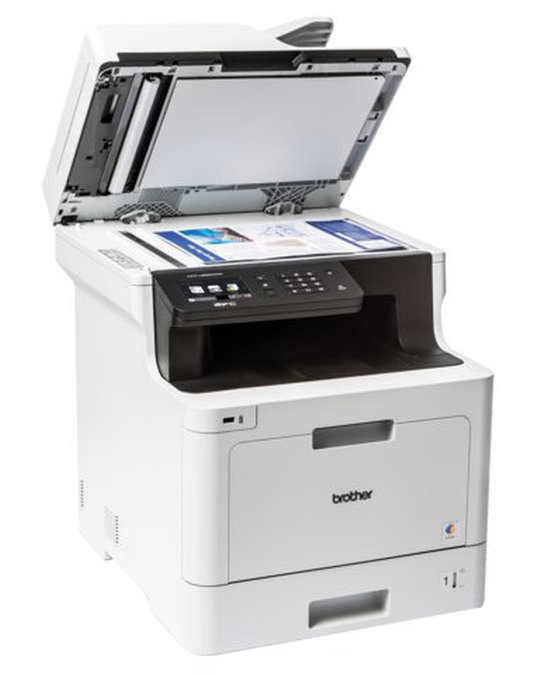 If you are looking for an ideal colour laser printer with a small footprint, then it’s very unfortunate that the Brother MFC-L8690CDW does not fit this description. However, it’s considerably big form does have an advantage. Of course, the large build leaves ample space for fitting huge loads of paper and toner. From a practical end, the printer performs four functions effectively and even has a number of accessibility features like its generous 9.3cm touch screen display. Sure enough, all these contrivances require plenty of room within the device and hence it had to be a bit heavy and extensive. Therefore, we can’t term this printer as unnecessarily big as it has so much to offer. To be fair, the design is reasonable. The only major let down with this printer is that even with its 435 x 526 x 539mm footprint, it lacks room for A3 paper printing. All the same, the device weighs about 27.9 kilograms on average, which is rational for a 4 in 1 colour laser printer. Additionally, apart from the built-in 300 sheet feeding tray on this device, the manufacturer included a separate 250-sheet paper tray. The additional tray can be bought together with the device. This extra tray is meant to make work easier when printing huge loads of paper and helps you get more from the printer. Being a 4-in-1 device, the Brother MFC-L8690CDW can perform four office functions at any one time. These are printing, scanning, copying and faxing. Actually, for all four functions, it supports Duplex functionality, that is, it can print, fax, copy or scan both sides of a document effectively. For faxing, this device uses a 33,600 kbps fax modem, which is super-fast for office purposes. On the other hand, the Dual CIS scanner on this device has a resolution of Up to 1,200 x 2,400dpi (flatbed) and 1,200 x 600dpi (from ADF). For copying, this Brother Laser colour printer scanner can do resolutions of up to 1,200 x 600dpi, whereas for printing it can reach resolutions of up to 2,400 x 600dpi. 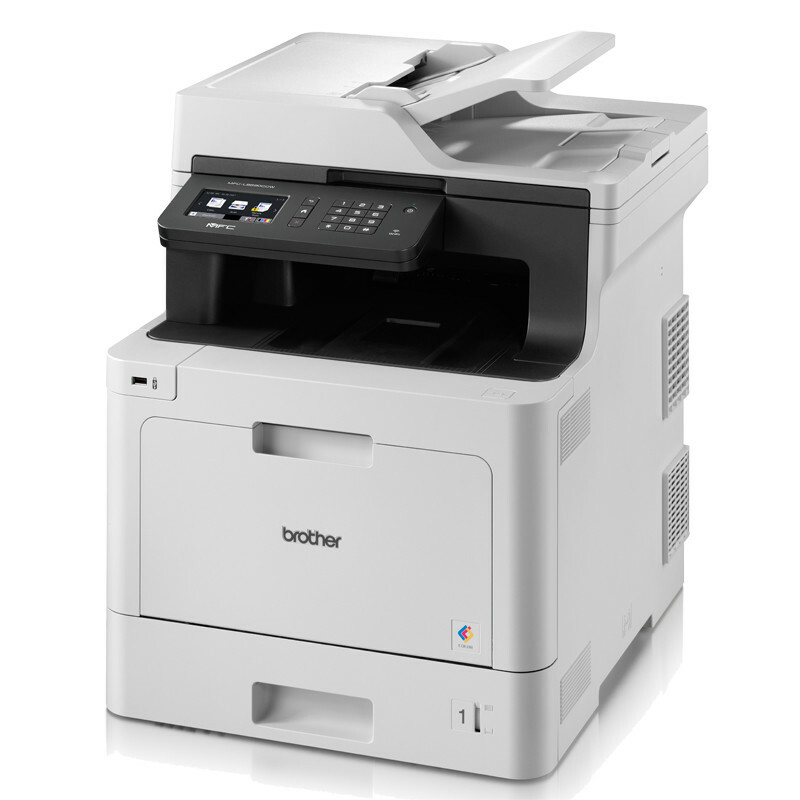 The Brother MFC-L8690CDW 4-in-1 colour laser printer is arguably the fastest printer of its type in its price margin. To start with, its scanning speed reaches a startling 28ppm (pages per minute) or 56 impressions per minute, for both colour and mono document scans. As mentioned earlier, the printing speed on this device is just about 31 pages per minute. It can automatically print both sides of a paper hence saving you additional time. From our tests, the average first print out time was about 13 seconds, which is pretty fast especially judging from the fact that some of the documents had images. When it comes to photocopying, the speeds are not any different from the printing speed. On average, the device can do just about 31cpm (copies per minute) for both coloured and mono photocopying. Furthermore, when building this device, the manufacturer added an array of connectivity options. If you have read a number of multifunction laser printer reviews online, especially for printers in this price range, you are probably aware that the MFC-L8690CDW has more to offer in terms of connectivity. To begin with, the device supports both wired and wireless connectivity. For the wired network interface, this gadget uses an Ethernet 10Base-T/100Base-TX/1000Base-T port. Additionally, it has a Hi-Speed USB 2.0 port for USB connectivity and a USB Host to read external devices. You can use the touchscreen display to access external drives. For wireless printing, this Brother printer uses IEEE 802.11b/g/n network interface. This way, you can print wirelessly using the printer. Nevertheless, you have to connect it to compatible devices such as mobile phones, laptops, or tablets. Some of the supported wireless printing apps for this gadget include Google Cloud Print 2.0, Mopria, Android Print Service Plugin, iPrint&Scan, Wi-Fi Direct™, and AirPrint. Does not print A3 Paper despite its considerably large build. Pretty disappointing with Image heavy documents but performs well for documents with simple graphics. Considerably large footprint and thus might require a table of its own.